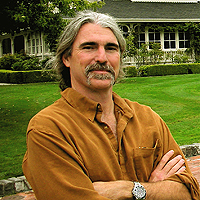 Despite the fact that Klunkerz is Billy Savage's first documentary feature, his introduction to filmmaking was his first job out of high school at Skywalker Development, George Lucas's construction company, where he worked on Ewoks: The Battle for Endor and Howard The Duck. He left Skywalker in 1986 to work as a production assistant for Varitel Video in San Francisco and Magnetic Image in Mill Valley. Working various productions in and around San Francisco eventually led him to work for rock and roll impresario Bill Graham. Billy Savage now lives in Los Angles with his wife, daughter and son. In 1992, he landed a job working for Shapiro Entertainment Inc, where he helped develop television projects for CBS, NBC, ABC and Fox. He co-produced and was the music supervisor on the feature film Living the Life. In addition, Savage has developed feature film projects for Fox Searchlight, Artisan Entertainment, Blockbuster Entertainment and Palm Pictures.